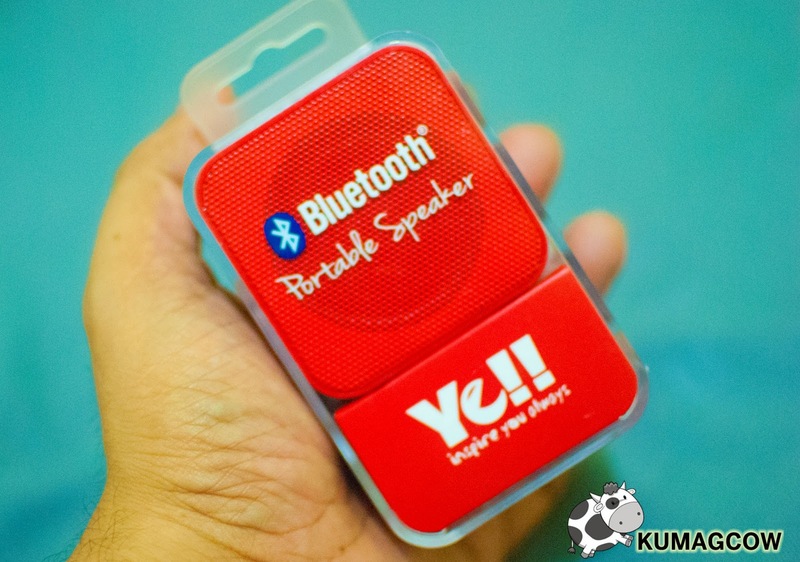 I've been able to use a couple or more of Bluetooth Speakers and we're blessed to have been able to get our hands acquainted with one of the most popular ones called YELL. It's designed in Hong Kong and assembled in China but I don't find it substandard at all. The packaging is neat made of two clear hard plastic containers that snap so you can hold the handle and hang it on top. It's price point might be a little high to look at, but thinking about it... the sturdy little box which you can take around conveniently surely deserves to be seen how it performs in the real world. If you are a travel junkie, it can fit right in your bag as it's not bulky. I used it right away to check how it fares with the other speakers that I have and the audio from this small square box provide real clear audio. It doesn't have that bass that I usually see in small speakers and I think it's mostly up to your taste. I love that it doesn't distort the real sound of music or podcasts when it matters. You don't want your singers to sound like deep voiced DJ's anyway right? This portable bluetooth speaker can also be hooked up in an auxiliary way. You can have it wired directly or use USB power sources to charge its internal battery. It can connect very far in my own home and imagine how I was able to listen in the shower while I charge my phone in the bedroom. There are real world applications like these that you would probably enjoy even outdoors if you are spending time with friends on a beach or resorts. There are 7 different colors of this Yell BTS 700 Bluetooth Speakers but I really love this in Red. It's unconventional and perfectly personifies my Warrior spirit. Pairing the Yell BTS 700 Bluetooth Speakers is easy too. Just turn on the speaker by switching it into the IN/BT mode. Then wait for the blue light to blink. 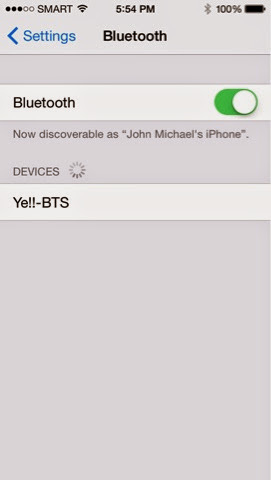 After that, go to your phone and search for the Yell - BTS name on your Bluetooth section. 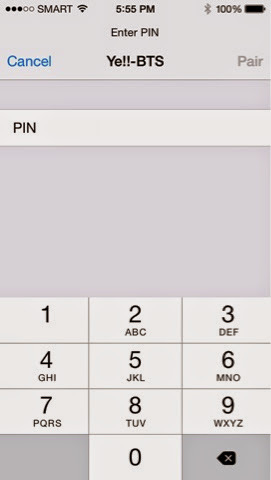 Click on the device name and it'll ask you for the pin. The default pin is 1234. Put that in and click on "Pair" then wait for the sound on the speaker indicating it's connected. You would hear a little melodic sound when it's done. 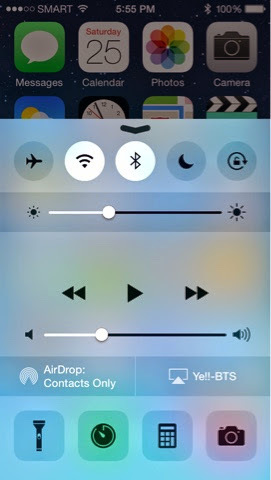 You can also see the Yell - BTS link on the iPhone 5S displayed as seen on the bottom left. Just turn the device OFF and the Bluetooth on your phone when not in use so you can save needed battery life. I even used it on streamed audio and it performed quite superbly. Overall, it's easy to use, it's portable and it sounds correct and doesn't distort what you're supposed to listen to. If you are a purist, the Yell BTS 700 Bluetooth Speakers is perfect for you. Plus, I've also seen that the battery has lasted me for 3 days already (with a few hours use each day) and I haven't even charged it yet. That is surprising because sometimes, something this small usually lasts an hour or two. I love the 1,000 mAh battery that does that, totally worth the price! If you want one of these, it's available at Digital Walker stores and Digits Trading affiliates nationwide. Check out their channels below if you wish to know more.